Forced perspective has a long history in art and architecture; classical architects used it to make their constructions appear grander, filmmakers used it to make the sets on Star Wars appear bigger and of course, photographers consider its effects in almost every shot. So there's no reason not to hesitate when it comes to using forced perspective in the home. There's always something most of us would like to change about the four walls of our homes. Maybe you want to make a room appear bigger, more interesting or a little more modern or rustic to match rest of your decor. In the old days you might have needed to employ an expensive fresco artist to achieve a forced perspective effect. But these days there are a whole lot of cheaper and easier options available online. 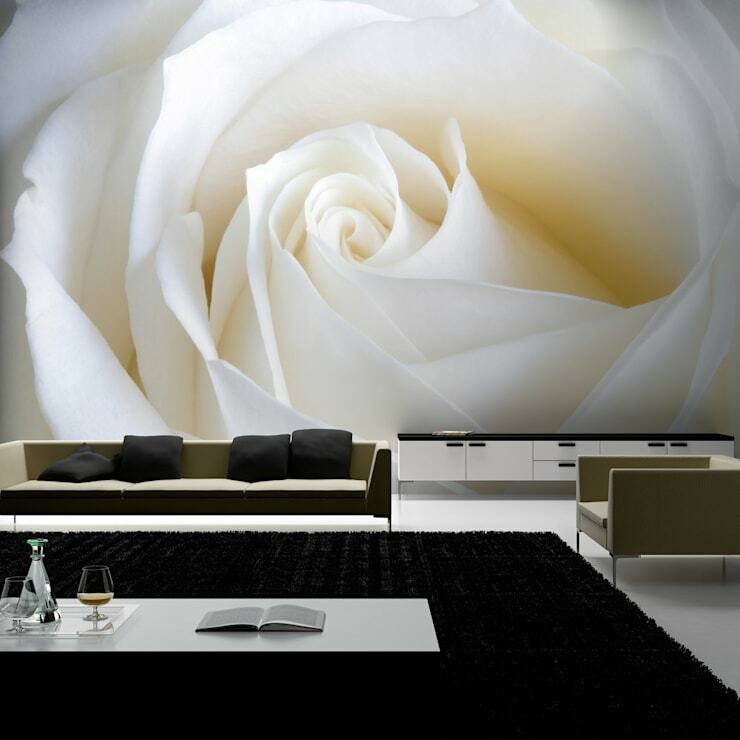 Wall decals, wallpapers and friezes can have a transformative effect and they are very easy to apply. Come with us to explore just a few inspiring examples of how they can be used to enhance your home. 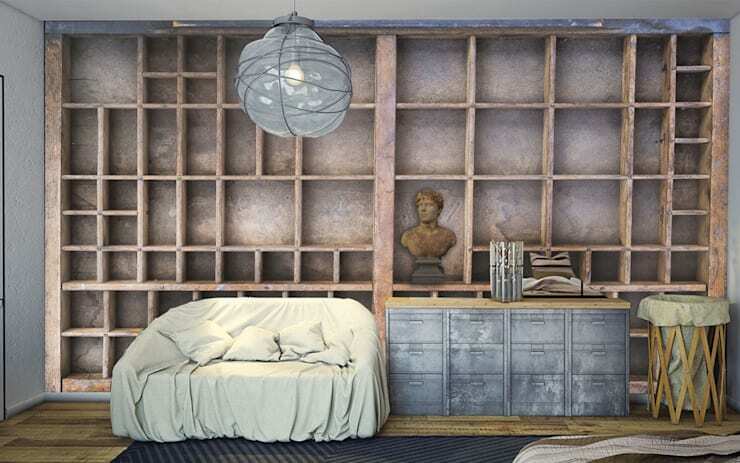 This grand industrial style bedroom frieze adds a whole lot of depth to this bedroom. If you are looking to create this kind of depth, look for designs with strong lines leading the eye towards a far horizon or distant object. Note here how the warm tones of the bricks in the frieze reflect the natural timber tones on the actual floor and bedroom unit. It can be tricky to combine photo realistic backdrops with the rest of your decor, so it's important to think of unifying elements. Nature soothes, relaxes and adds a little wild beauty into the home. But it also requires sunlight, water and constant maintenance. So why not make life a little easier and introduce a natural motif into your home. You could turn an entire room into a forest retreat. This works particularly well when the room is lacking natural sunlight or window views. 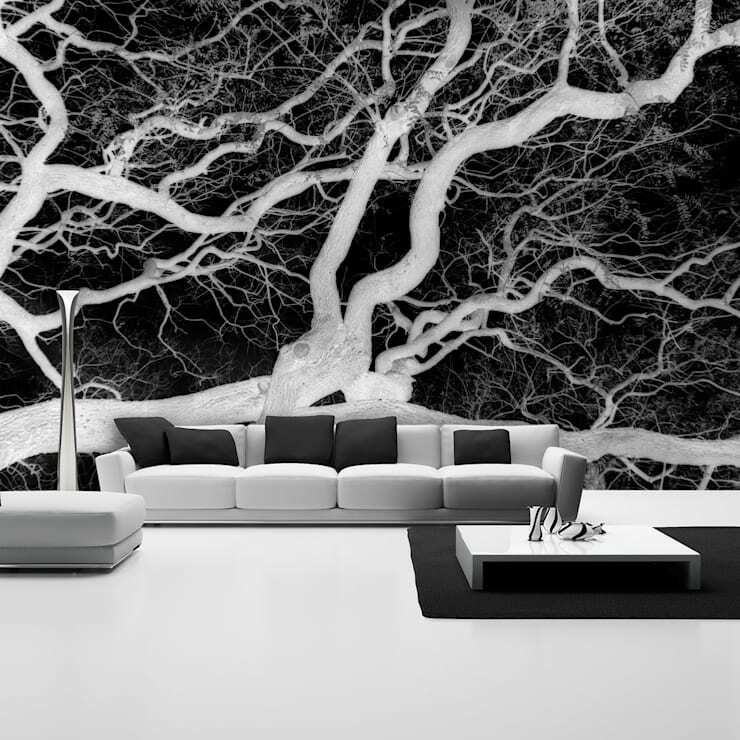 See here how this monochromatic forest backdrop adds a spectacular sort of wildness to the room. The monochromatic palette unifies the elements in the room. Some friezes can look a little artificial against the real life objects in a room, but here, the monochromatic palette has lifted the design to a more sophisticated level. The modern, low-lying minimalist furniture here has a very geometric, almost severe quality. In contrast, this floral backdrop by Portuguese designers For-Arte is curvy, sensuous and softly undulates in tone and form. 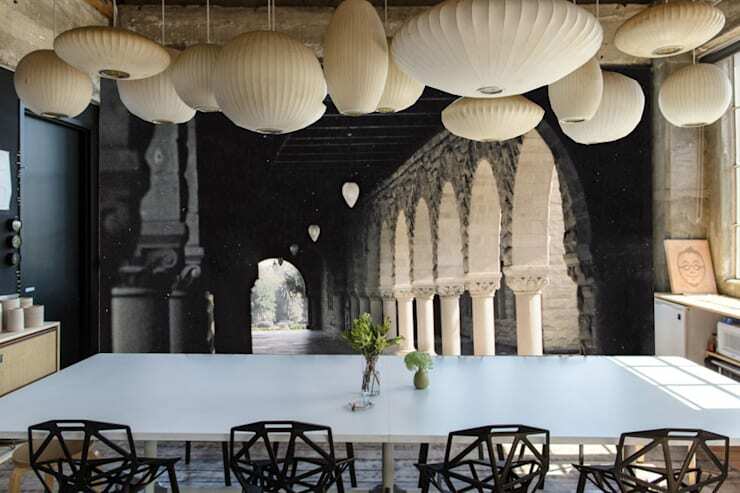 It's is a good example of how a backdrop can be used to soften, contrast and compliment an existing decor. A great backdrop can be used to build on a theme very easily. Here we can see how a simple sofa blends seamlessly into the rustic wooden bookcase and furnishings in the background. The trick here is to use objects in your room that match the textures in the backdrop. The room itself is quite small, but you would never know it from this picture. This kind of illusion really allows you to think big when you're working with a small space. Not all of us are fortunate enough to have grand old columns, stone walls and secret passageways in our homes. In any case, most of us prefer the simple, clean minimalism of a modern home. But here we have a good example of how old and new can be combined. The soft fawn sofa and stone backdrop work together, and the black column and wall really blend into one another. The effect is sophisticated and interesting. Most of us who love decorating have a few feature items that we would really love to accentuate a little more. Perhaps you have a great set of ceiling lamps like this, a small balcony view or a pendant feature you have created yourself. An interesting forced perspective backdrop could be used to reflect and build on these features, really bringing them to life. Here we can see how the shapes and colours of the ceiling lamps are reflected in the receding columns in the background. If you are decorating, you'll love this Ideabook How to have a cosy dining area in a small home. We love hearing from our readers, so please don't hesitate to add a few more tips in the comments field below!